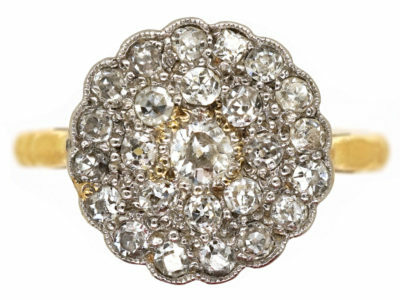 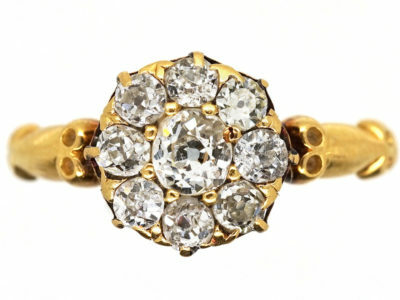 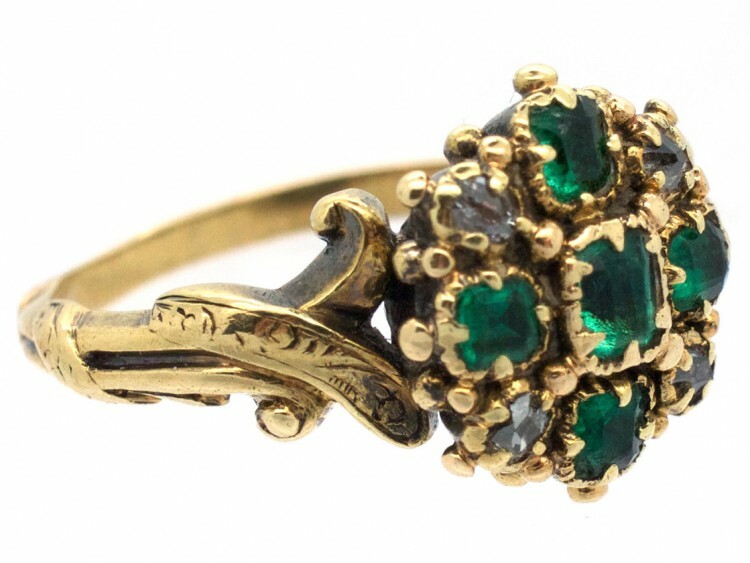 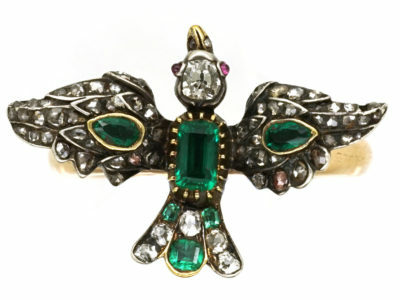 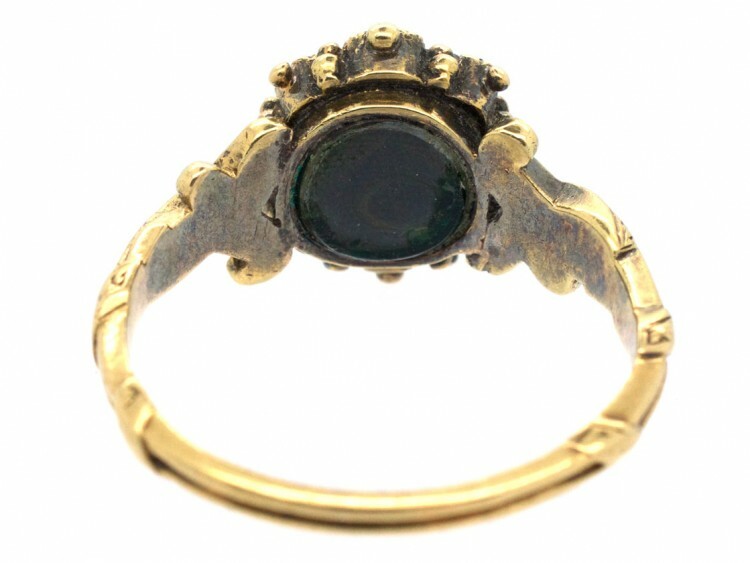 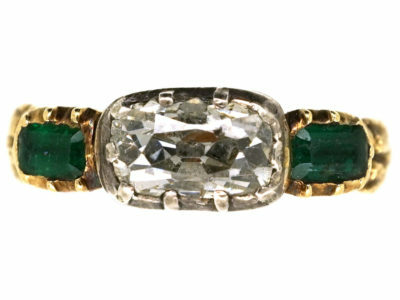 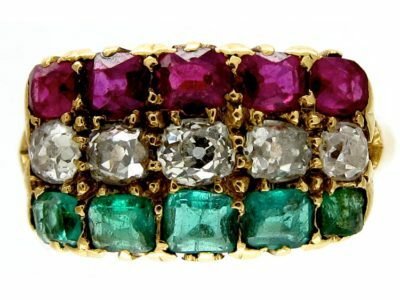 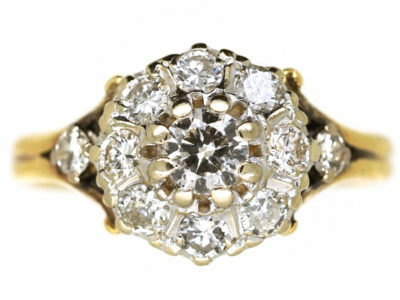 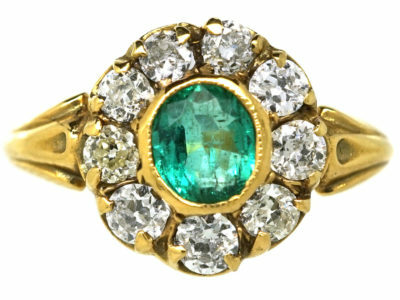 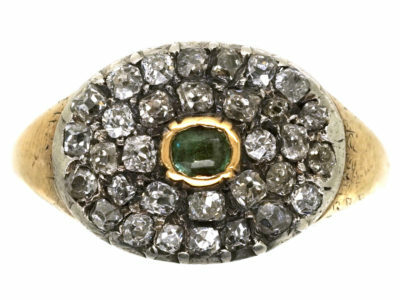 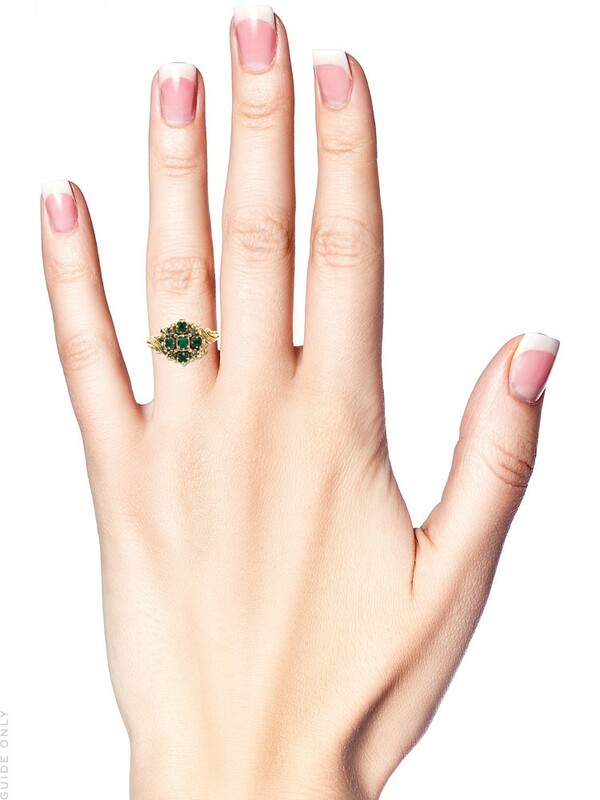 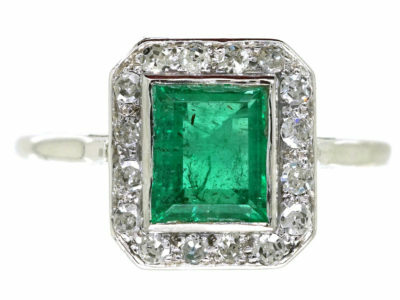 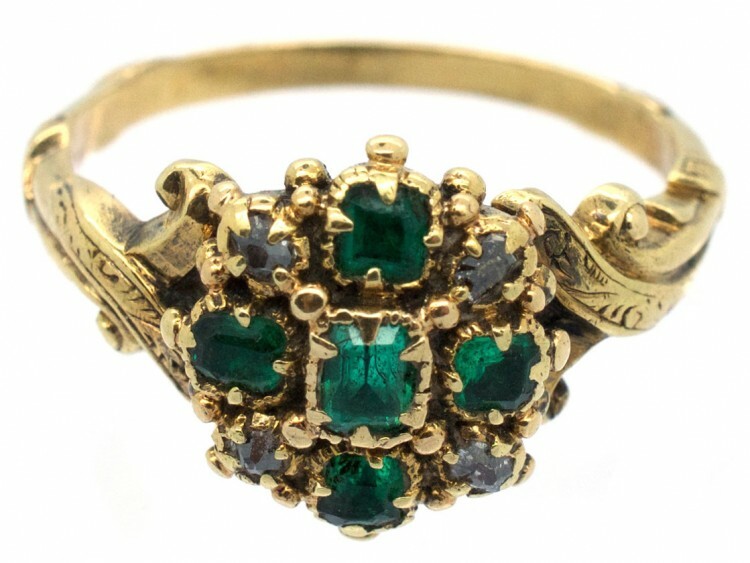 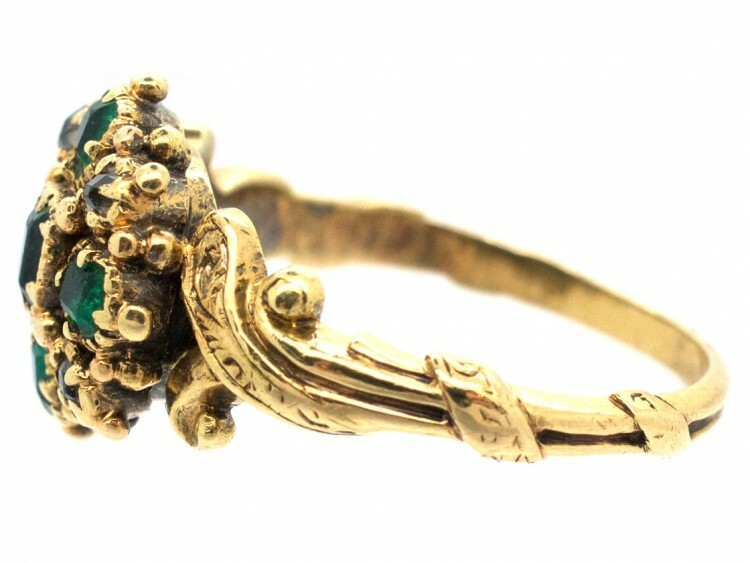 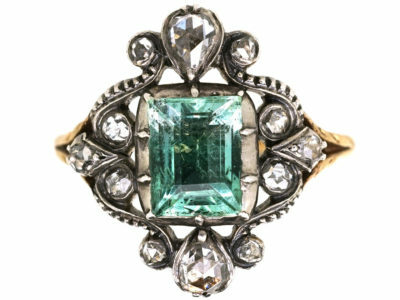 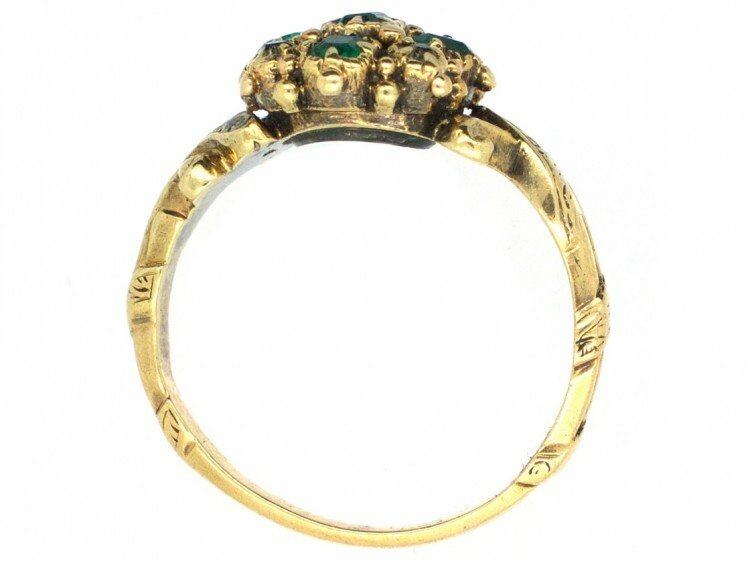 A lovely late Georgian cluster ring set with emeralds and diamonds. 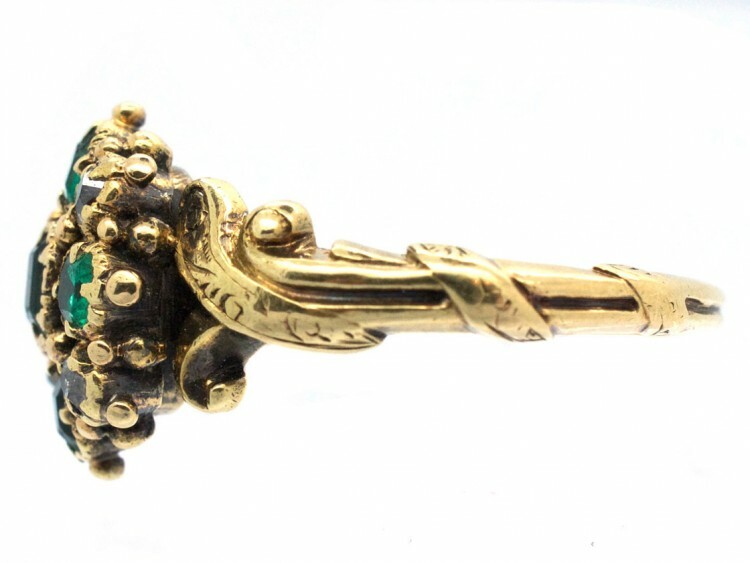 The shank is particularly nice as it has swirly tendrils in the gold design. 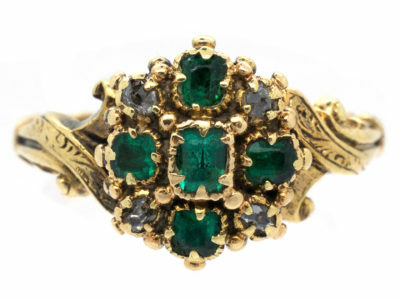 It has a small locket section behind the cluster which would most likely have held a lock of hair. 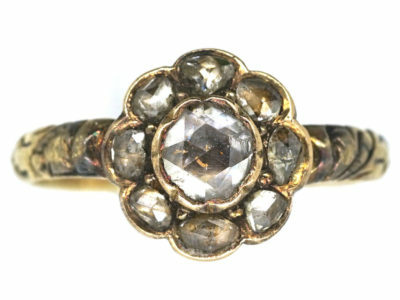 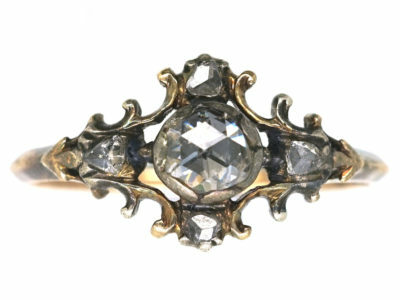 It was made circa 1820.